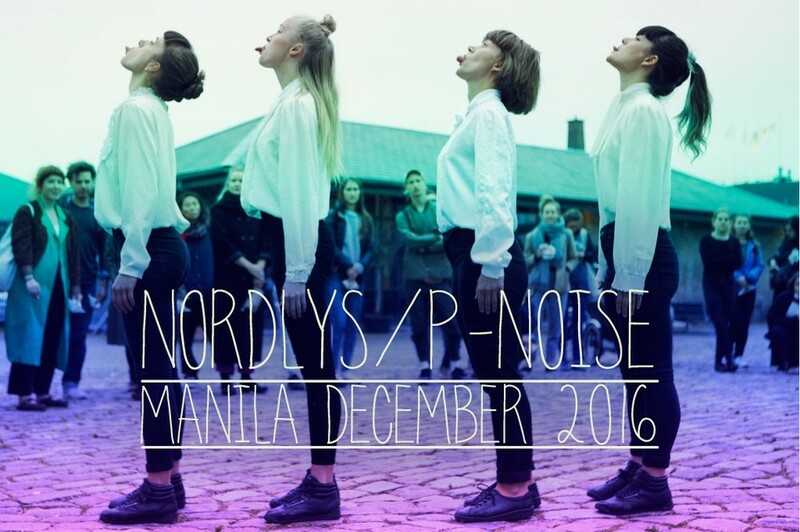 NORDLYS/P-NOiSE Contemporary Dance edition brings together Nordic and Filipino artists in a showcase of contemporary dance and performance art in the urban landscape of Manila. This year’s festival stretches the festival concept through an interaction of space, performance and audience in a unique cultural experience. NORDLYS (Northern Light) is a collective of artists from Denmark, Sweden Norway, and Finland. They will stage their successful walking performances where the audience moves with them and within the venue in an exploration of bodily, emotional and spatial relationships. Art performances and a debate by artists Lilibeth Cuenca Rasmussen and Tanelli Törmä will also be held. NORDLYS is performing at the magnificent Metropolitan Theatre and Pineapple Lab’s creative space will be hosting Lilibeth Cuenca Rasmussen and Tanelli Törmä’s performances. This event is made possible through the support of Statens Kunstfond, Kulturkontakt Nord and Nordiska kulturfonden. Official Closing Party - Special Live Vocal & DJ Performance by P-NOiSE co-founder Andy Roda feat. members of Sinosikat. Official after-party venue: To be announced! ‘Pinoy’ is slang for Filipino. We believe in the fierceness and liveliness of the Filipino culture. From its traditional roots to its colorful contemporary image that transcends borders, there is a creative and passionate Pinoy that the world needs to meet, and vice versa. 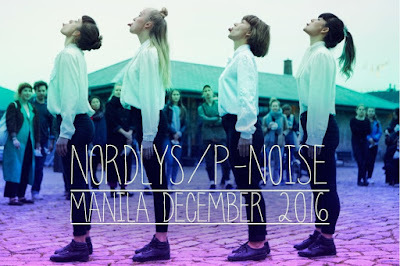 P-NOiSE serves as a platform for challenging yet-to-be known Filipino and Nordic artists to showcase and express their artistry and vision. By grasping the exciting and groundbreaking movement of change in the Philippines and the Nordics, we organize a range of festivals and events promoting the arts for European and Filipino audiences. We invite you to join in riding this wave of tradition and diversity through creativity to engage today’s Pinoy.